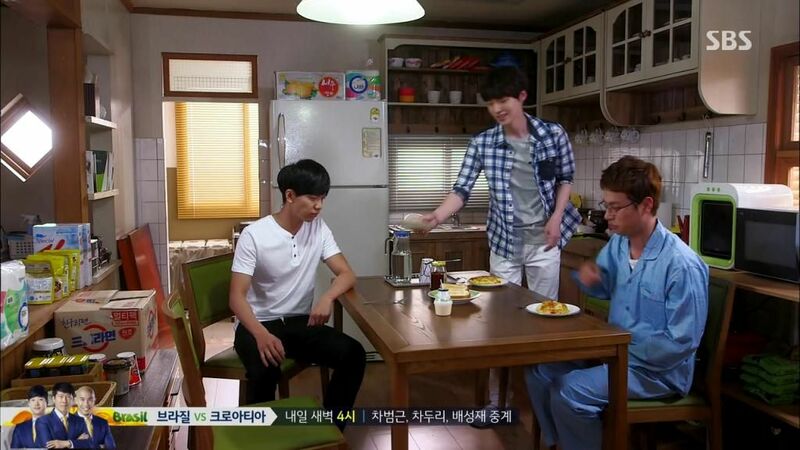 You’re All Surrounded is like bland white rice, filling but tasteless unless eaten with flavorful dishes. The bland is the story and execution and the tasty comes in the form of the actors and actresses that are easy on the eyes and doing their jobs with steady professionalism. With the episode airing delays and now the injury to leading man Lee Seung Gi, I’m wondering if it doesn’t make more sense to cut it down from 20 to 16 episodes and tighten this baby up for the final stretch. We finally get some key information about how the baddies are connected to the case and I don’t want this drama to drag out the big conspiracy for another 10 episodes when the filler material such as the case-a-day are so utterly mind-numbing in simplicity. The rookies have settled into a nice rhythm finally and nothing big happens to upset their dynamic. Pan Seok and Soo Sun both take the look-the-other-way approach with the knowledge that Dae Gu is Kim Ji Yong, and surprisingly Dae Gu seems to completely ignore Pan Seok and avoid the big elephant in the room between them. The best part was learning that Pan Seok and Dae Gu share the exact same painful loss from the same night. 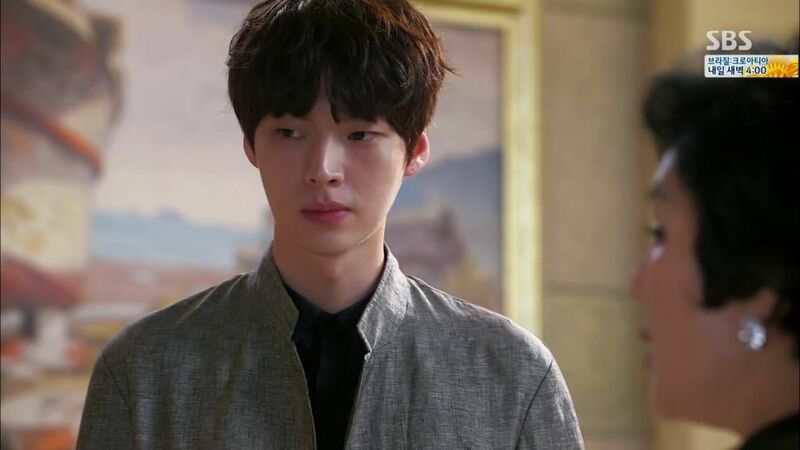 Is anyone surprised to discover that Pan Seok’s son died the very night of Dae Gu’s mom’s murder when Pan Seok was out investigating and doing his job? Of course it has to be so coincidental but that no longer bothers me much as long as the story sustains the continued character development around it. There isn’t much to YAAS other than the leads and a mildly intriguing police corruption conspiracy that hasn’t been sprinkled into the narrative dough very uniformly, but watching it has a curious comfortable sensation for me. It’s like this feeling of just being, taking in the scenes onscreen without any emotional or mental engagement either way. It’s odd but not a terrible place to be in with respect to sticking with a drama. I’m still enjoying the ride with tempered expectations and the pleasure of screencapping Lee Seung Gi’s face twice a week without the side effect of getting my brain zapped. Soo Sun is in a very good mood as she takes the bus back to her tent home as she thinks about the happy confirmation that Dae Gu is Kim Ji Yong who has a reason to keep his identity a secret. She takes out her phone to send one more text question to her partner about Ji Yong but decides not to press her luck with too many questions. Soo Sun flashes back to high school and the day after Ji Yong’s mother died and he disappeared. She hears the news from her classmates and runs to the police station to tell an officer that she saw the missing Kim Ji Yong last night. Soo Sun explains that she saw Ji Yong in school running through the hallways and hiding in the chemistry classroom. Now that she thinks about, someone might’ve been chasing Ji Yong. Later when she went to the classroom, Ji Yong was gone but she saw an ahjusshi with a scar behind his ear. 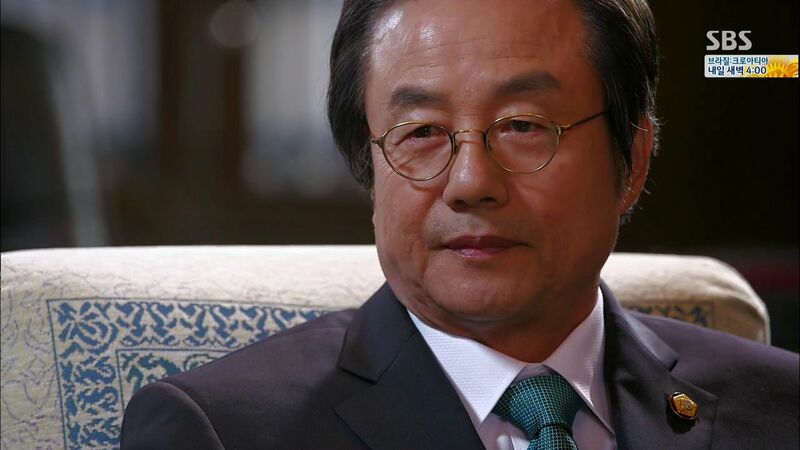 A younger Chief Kang arrives just in time to hear Soo Sun’s statement including how the ahjusshi was dressed all in black and wearing a cap. 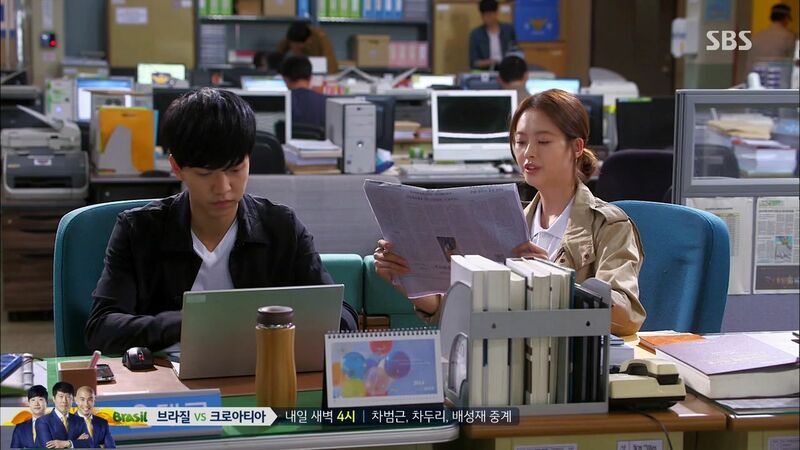 After young Soo Sun leaves, the officer who took her statement hands the notes from Soo Sun’s interview to Chief Kang who offers to pass it along to the detective in charge Seo Pan Seok. When the other officer walks away, she crumples up the notes. Soo Sun nearly trips on her untied shoe laces as she’s walking and thinks back to Ji Yong tying her laces for her in the rain. She wonders where that kid went and grouses that she needs to switch to non-laced shoes from now on. Adult Soo Sun finishes her reminiscing and then wonders who exactly was that man she saw in the school that night. 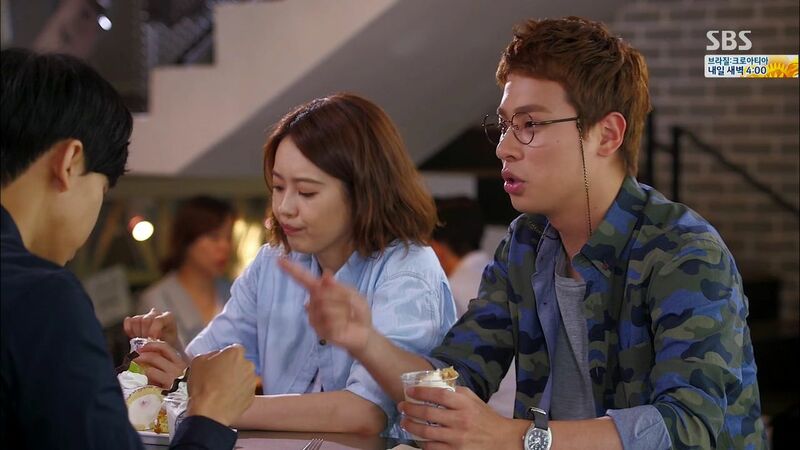 Pan Seok drinks with Eun Do as they discuss how Dae Gu is Ji Yong. Pan Seok reveals Dae Gu still won’t admit it and doesn’t just hate Pan Seok but has taken to cursing him. 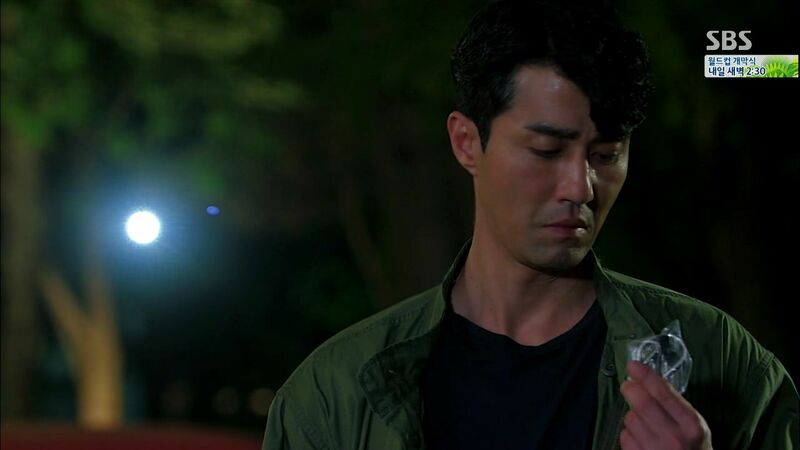 Eun Do sighs that it’ll get better especially since Dae Gu doesn’t know what happened to Pan Seok. If he knew what happened that night when Pan Seok went to pick up Ji Yong at school….. Pan Seok warns Eun Do not to say anything, especially not to let Sa Kyung know that Dae Gu is Ji Yong. Eun Do agrees and worries about how Pan Seok is doing? Pan Seok claims he’s fine since it’s been eleven years but his quivering hands betray him. 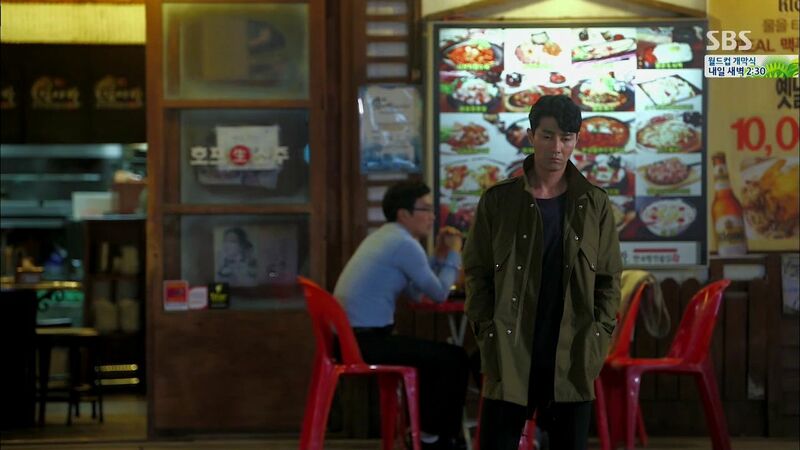 Pan Seok walks home and flashes back to the night of the incident. He left the precinct to pick up his son from kindergarten since Sa Kyung was in class. On the drive over, he gets the call from Ji Yong hiding in the school and remembering that the killer was after the pendant that Ji Yong left in his school coat pocket. He heard the killer specifically mention he’s looking for the pendant. Pan Seok thanks Ji Yong for sharing the important information and asks where he is right now and offers to pick him up. Pan Seok tells Ji Yong to wait at school and he’ll go pick him up. Pan Seok then calls his captain back at the precinct about the pendant in Ji Yong’s coat pocket and how he’s going to pick up Ji Yong at school. 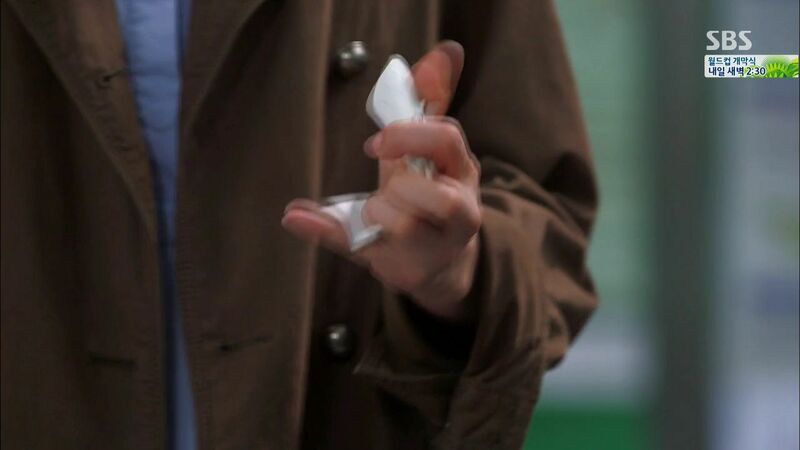 The captain talks out loud about the pendant and finds it in the coat pocket. Pan Seok is happy and says he’ll pick up Ji Yong and then his son and safely take the kids back first. He then calls the kindergarten teacher to reveal he’ll be a bit late but will come pick up his son. Pan Seok arrives at school and finds no signs of Ji Yong anywhere and he gets delayed because he searches the whole school. He then gets a call from the kindergarten teacher and rushes off. The killer watches Pan Seok drive away from the school. 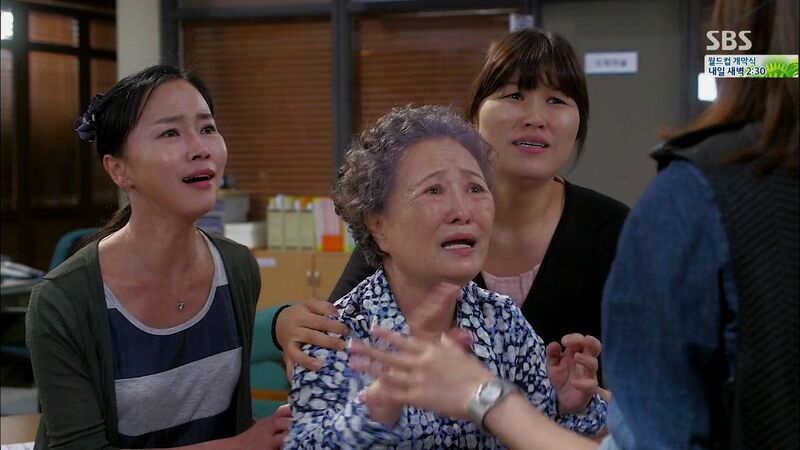 Pan Seok arrives at the hospital to find Sa Kyung cradling their dead son and crying. Pan Seok and Sa Kyung’s marriage fall apart in the aftermath of their son’s death and she leaves him with divorce papers already signed and her bags packed. Pan Seok can only remember his son through watching old home videos. The rookie roommates wake up to breakfast together. Dae Gu grouses at Ji Gook drinking his banana milk since he doesn’t like the taste of regular milk but Tae Il makes everyone omelette rice. Tae Il asks if Soo Sun came by last night because he found her police ID and hands it over to Dae Gu to return to her. Ji Gook takes it instead to return because it’s so important and because he has a crush on her. 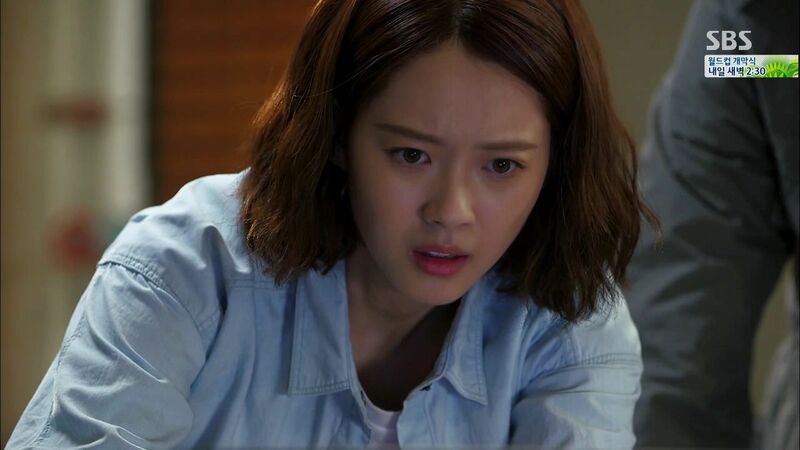 The rookies meet up with Soo Sun right outside the precinct and she first asks if Ji Gook’s ankle is all better and then gets her police ID back. She asks Tae Il if he’s a doctor and hears that he was just a first year intern when he quit because he didn’t find it interesting. Ji Gook and Soo Sun laugh about how their respective partners are so lacking in fun. 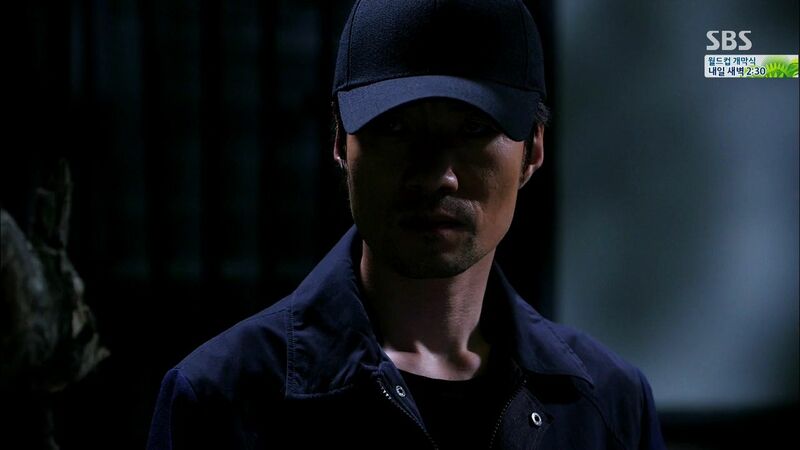 Pan Seok meets with Chief Kang and reveals that he found the missing child from the Masan murders. His team’s Eun Dae Gu is actually Kim Ji Yong. Chief Kang’s face changes and Pan Seok asks if she already knew? Chief Kang admits she knew and Pan Seok demands to know why she never told him and purposely put Dae Gu in his team? Chief Kang did all that because she supported Dae Gu from his time in the orphanage and when she heard Dae Gu wanted to be a cop, she forced him to work under Pan Seok hoping that his anger will lessen after working together. 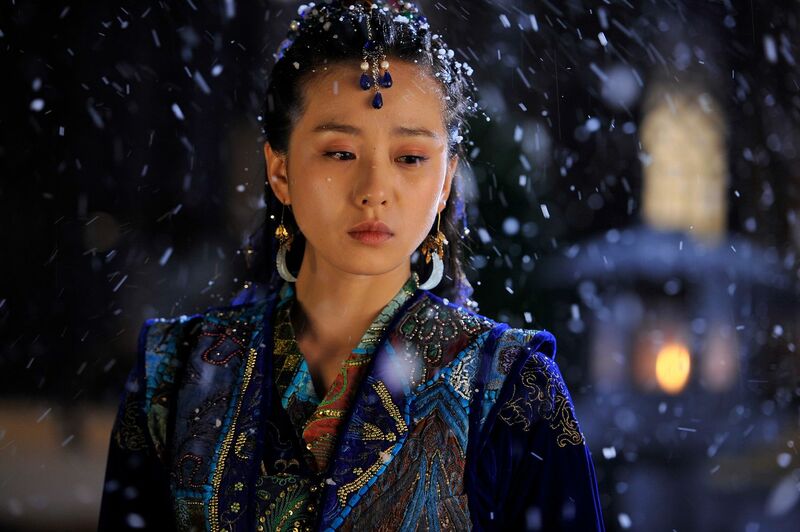 Chief Kang claims she didn’t know Dae Gu was Ji Yong initially and didn’t seek him out. 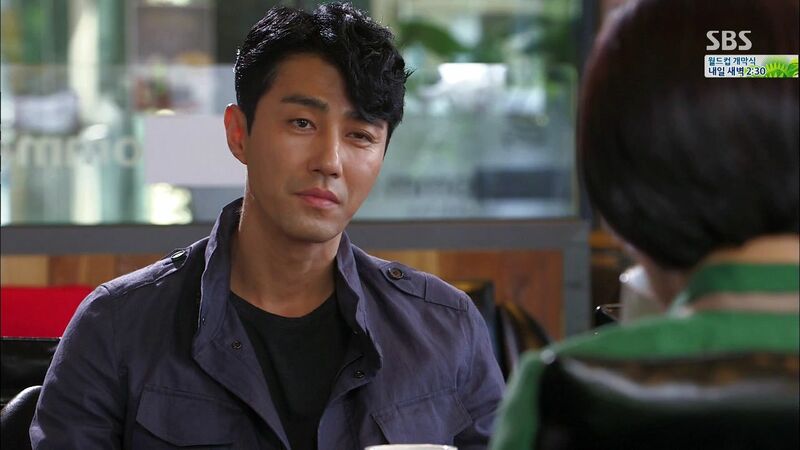 Pan Seok finds it impossible to believe but Chief Kang is done explaining and tells him to believe it not because it’s the truth. Pan Seok leaves the meeting and doesn’t look convinced at all. Chief Kang flashes back to hearing the captain find the pendant in Ji Yong’s coat pocket that day and then put it in the evidence box. She then snuck it out of the box and passed it to the killer in the hallway. Ugh, totally knew you were super shady. 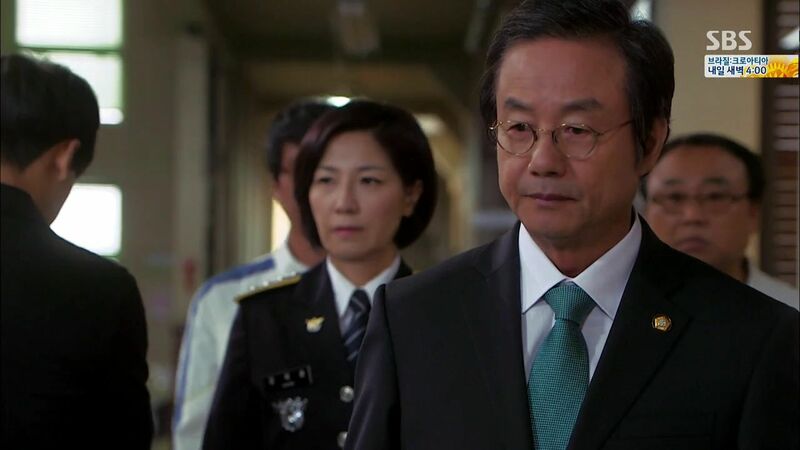 Tae Il’s unhappy and disappointed mom arrives at the precinct to complain about why her smart precious doctor-bound son is toiling away at this profession. She wants Tae Il to come back since his dad already discussed with the hospital and it’s willing to treat Tae Il’s absence like he took a long vacation. Tae Il just wants her to leave and he promises to go home over the weekend to talk when Sa Kyung walks by. After his mom leaves, Sa Kyung asks if Tae Il still hasn’t gone home and Tae Il points out that this is the first time she’s spoken to him first. 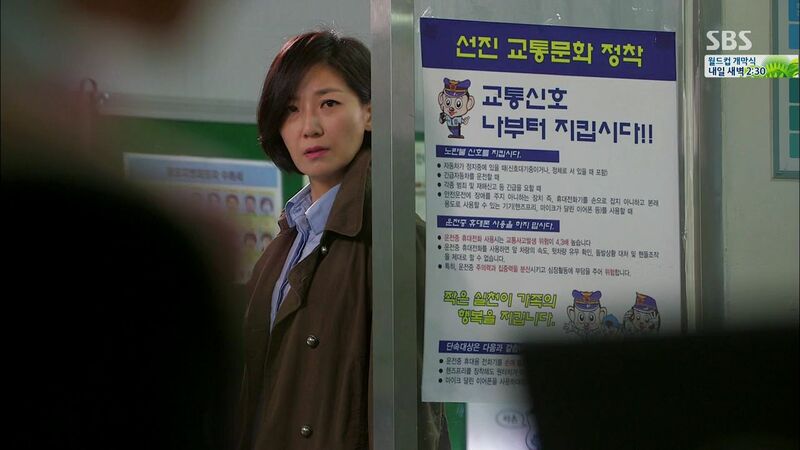 Sa Kyung finds three frantic women at her desk here to report the disappearance of the older woman’s son. The missing person is a young car mechanic who the family hasn’t been able to reach for weeks. The man’s fiancee claimed first that he was busy, then he didn’t want to talk, and finally he was on vacation. The family started getting bills of debt that was taken out in the man’s name. The family raced to Seoul to hear that the man is missing but they worry that he’s been murdered which is why they have filed a police report. Dae Gu and Soo Sun interview the fiancee of the missing man who appears quite open to answering all their questions. She did mortgage the apartment because it’s not too much as alimony. She explains that he suddenly disappeared a month before their wedding. Initially she was worried about what happened to him and then she realized that he turned off his phone so he must have purposely run away so he didn’t have to marry her. She thinks he took out all the recent debt because he’s addicted to gambling. Ji Gook interviews the man’s coworkers who were the last to see him the night they all went out drinking together. A coworker doesn’t think he’s a gambler because he worked hard every day. 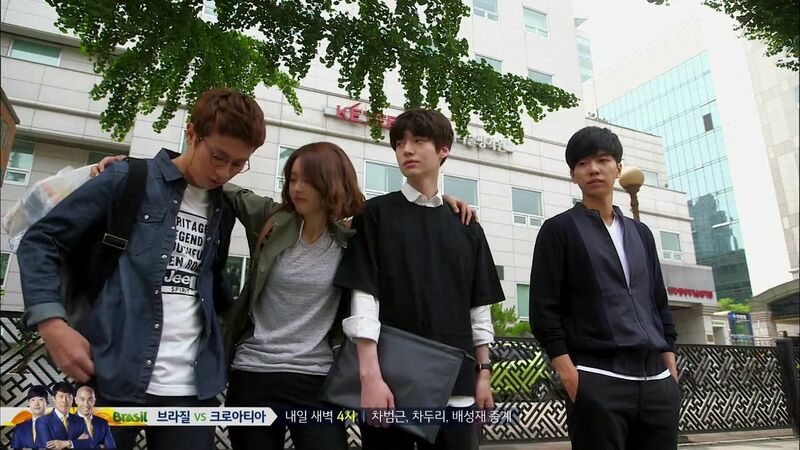 The team gathers to compare notes and Ji Gook found out that the man recently took out four life insurance policies all with his fiancee as the beneficiary. It’s possible she killed to collect on it since there has been no sign of the man in the month since he disappeared. The rookies go out for dessert and Soo Sun wonders what love really is? The couple dated for 6 years and then one side suddenly disappeared. Dae Gu suggests it’s not that love can change but people change. Ji Gook wonders if Dae Gu has dated before since he is good looking even with his difficult personality. Dae Gu claims to not be interested in girls and Ji Gook teases whether he likes guys. Dae Gu insults him as unable to understand what is a metaphor and that silences Ji Gook up. 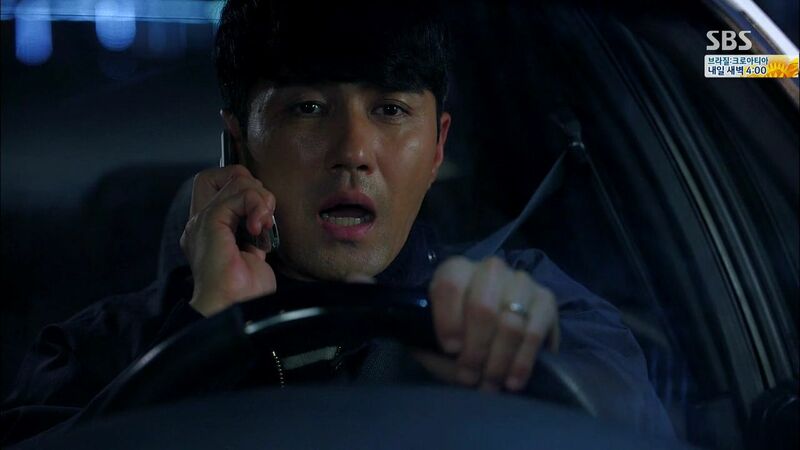 Director Cha gets a call from the investigative team about the culprit that damaged his car. Turns out it’s a wild cat that jumped on his windshield which makes him furious that he has no one to hold responsible for his car damage. 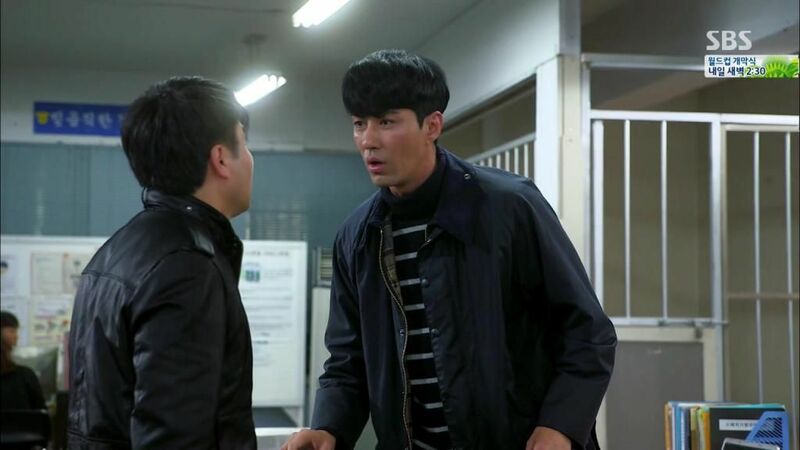 Eun Do wryly offers to catch the culprit for him but Director Cha is ready to let it go after it led him to be suspicious of his subordinates. 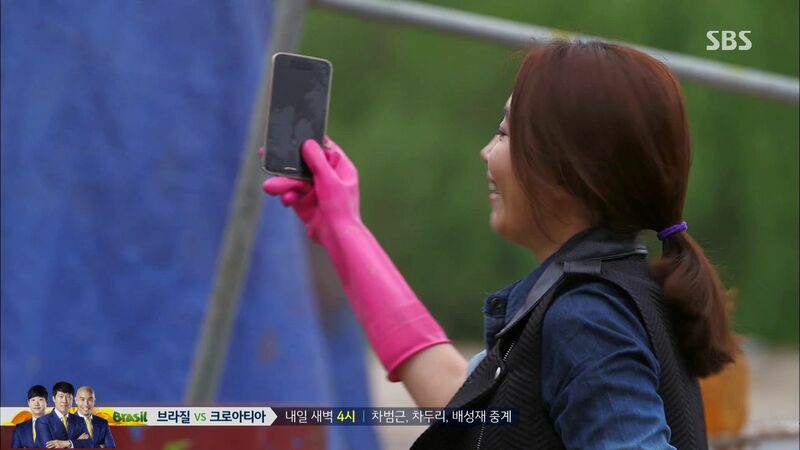 Sa Kyung and Soo Sun head to an abandoned warehouse area where the man’s cell phone signal was last broadcast and they search in the muck until Sa Kyung successfully finds the phone. Tae Il and Ji Gook canvas the area around the noraebang that man went to the night he disappeared and find the streets hvae surveillance cameras. They pull the data from those cameras and wade through it one-by-one until each district is marked off. Dae Gu lands on the lucky surveillance footage and finds the missing man going into a bathroom on the morning after he went missing but there is no footage of him coming back out. Dae Gu and Ji Gook does a quick check to confirm the bathroom doesn’t have another exit. Soo Sun’s sharp eye spots a woman walking out of the bathroom and a quick side-by-side comparison to the missing man’s picture confirm that he left the bathroom dressed as a woman. 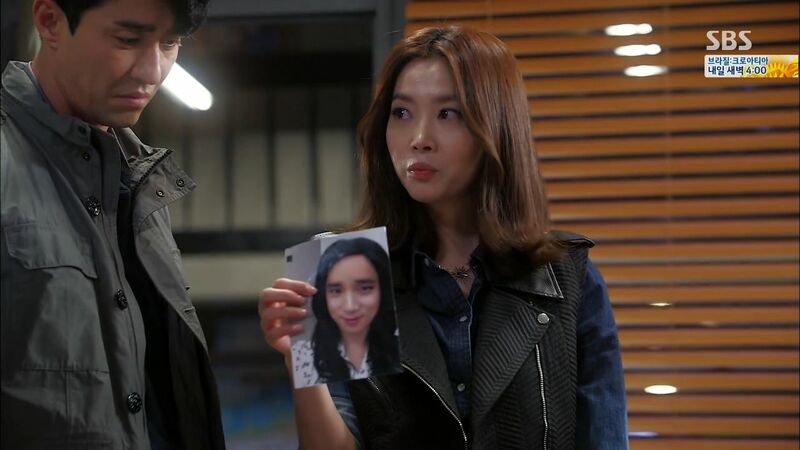 Sa Kyung cracks the case as well from her end after restoring the SIM card in the recovered cell phone which has a picture of the missing man dressed as a woman. So it’s not a missing persons case after all, just a man ditching his entire existence as a man to start afresh as a woman. No crime, no foul. Soo Sun has a very bad start to her morning, bumping into people on the road and scratching up her hand as well as dropping her cell phone and breaking it. When she goes to take a shower the water stops midway. She breaks a pair of chopsticks and it’s totally uneven. She wonders if today is one of those really bad days that is an omen of something terrible soon to come. The Congressman arrives at the Gangnam precinct and asks to speak privately with Chief Kang. 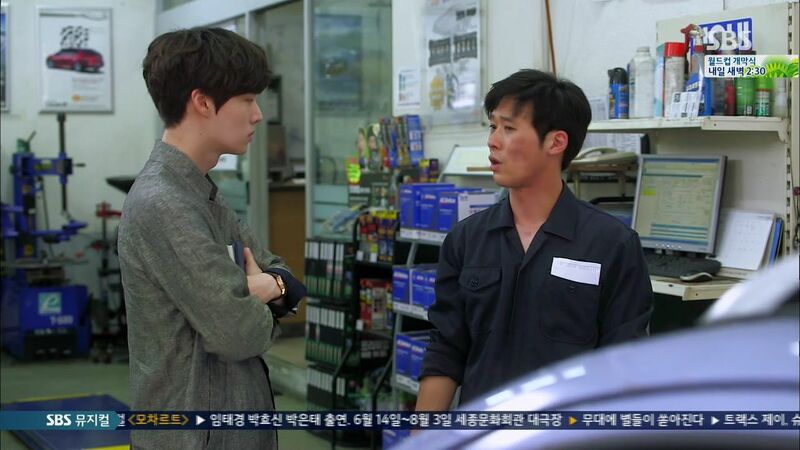 He starts off by saying Hyung Chul is back and asks if Chief Kang knows anything about it? She claims it’s news to her. Kang Chul said that the boy from eleven years ago is still alive and the Congressman asks what Chief Kang thinks about that. The boy can’t stay alive and this is the only road they can go down. They have to stick with the story that the boy’s mother was killed eleven years ago when she was about to testify as a witness. The Congressman warns Chief Kang that she’s in the same boat as him (forever). As the Congressman walks out of the precinct, Dae Gu passes right by him much to Chief Kang’s consternation. 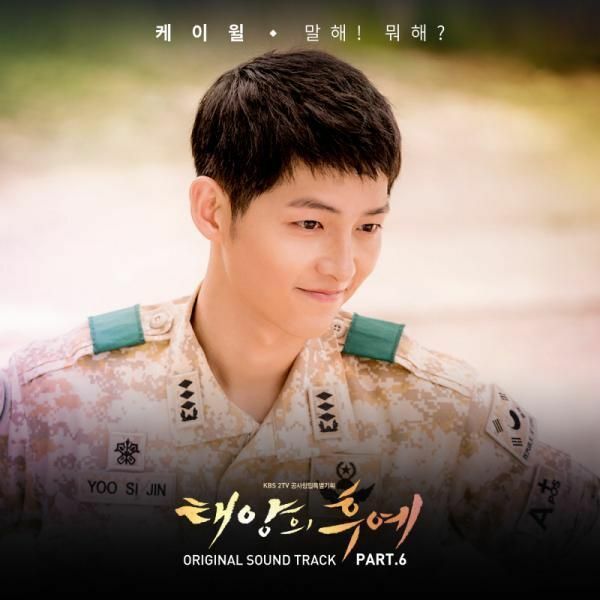 The Congressman stops and looks back at Dae Gu for being such a young handsome rookie cop. Director Cha apologizes for their rookie being not very polite in greeting elders. The Congressman storms off and in the car places a call to take care of things and not disappoint him again. The killer promises to not let him down again. Chief Kang sits in her office and thinks about the Congressman warning her that the child cannot remain alive and they are all on the same boat. Chief Kang calls Dae Gu and warns him to be careful and not be alone. She thinks the killer may be after him after tracking him to the orphanage. 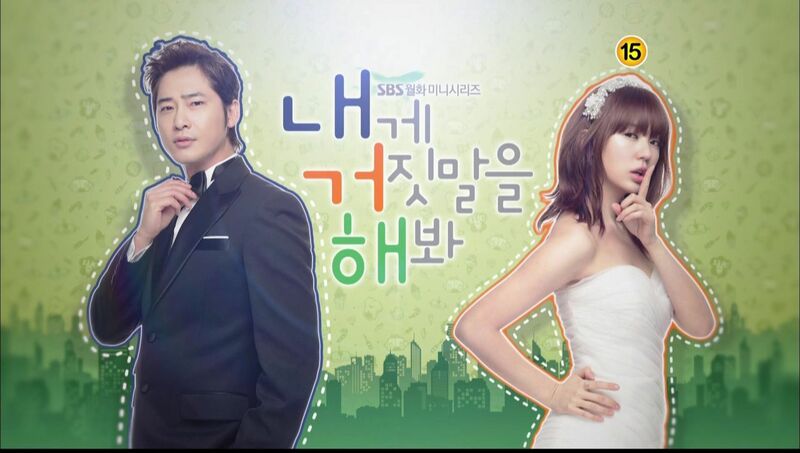 Soo Sun startles him when she wants to read him his daily horoscope because she’s worried about it. Dae Gu scoffs at such superstition but Soo Sun insists on reading him a daily horoscope that indicates he may be in danger. Plus her intuition also senses something bad is up and she tells Dae Gu to be alert and careful. The killer wipes down his knife and gets ready to head out to be more damage. He calls Pan Seok out to meet and this time it’s at an abandoned warehouse rather than a cafe. The warehouse is where a police raid went down wrong and the killer immediately uses Pan Seok’s guilt to have him find him a ship leaving soon. 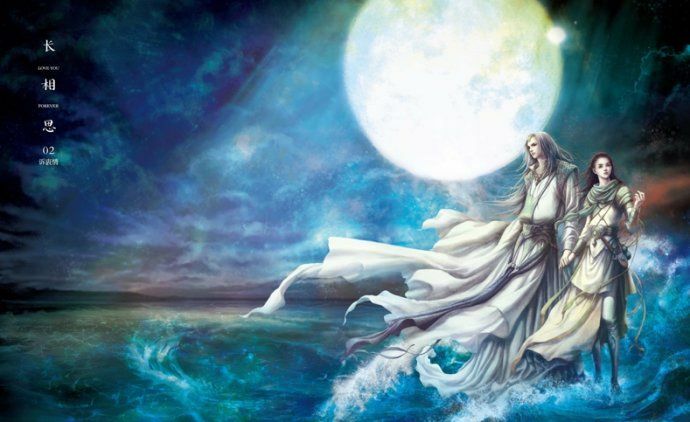 If he finishes what he’s doing here, he plans to take the ship to China and never come back. Pan Seok worries about what he’s planning to do but the killer just reminds Pan Seok of the scar behind his head and the promise Pan Seok made. Turns out the killer was Pan Seok’s old cop partner and in a mission raid he got injured to protect Pan Seok when an assailant smashed him over the head with a fire torch. The killer then discharged his weapon and shot the assailant in the chest. The killer was fired for discharging his firearm and killing the suspect after the media started accusing cops of misusing their authority in apprehending suspects. Pan Seok goes home and finds the ceiling lights flickering. He changes the bulb and discovers the hidden camera that Dae Gu planted there. D’oh! 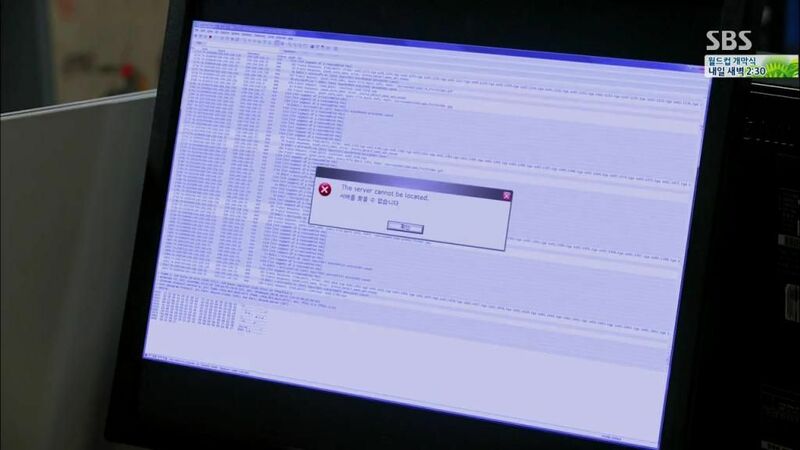 Pan Seok pulls it out and storms back to the precinct to have the cyber team tech check it out and find out who planted it. The tech thinks Pan Seok already has an inkling who planted it even if there is no way to track it via the access to the feed. The killer is outside the rookie’s apartment and Tae Il and Ji Gook head out to buy some groceries and leaves Dae Gu inside alone. On the walk out, Ji Gook asks if Tae Il has noticed that Dae Gu and Soo Sun have been getting really close lately? Tae Il doesn’t see anything strange since they are partners. They head off to the grocery store and the killer enters once the coast is clear. The apartment is all dark and the killer’s boots make noise as he walks through and checks each room. The killer opens the door to Dae Gu’s room and he’s holding a knife ready to attack. Dae Gu is clearly expecting him because he hides behind the door holding a bat. There is a tense pause as both men wait for the other to make the first move. 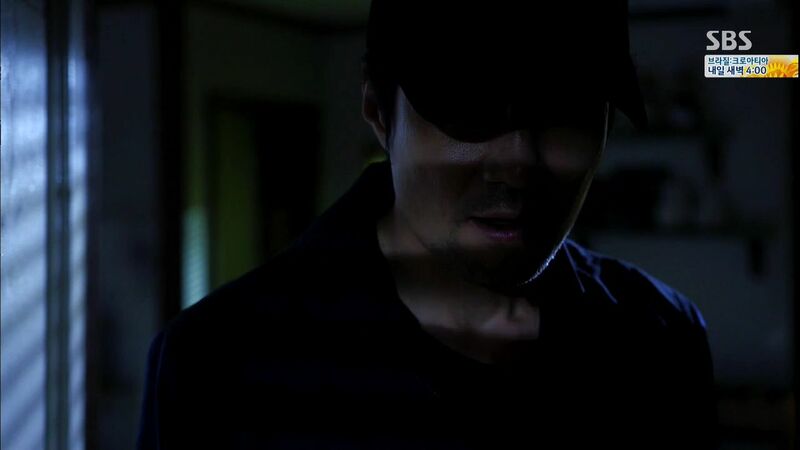 The killer slams the door against Dae Gu and the two men start to fight in the darkened apartment. 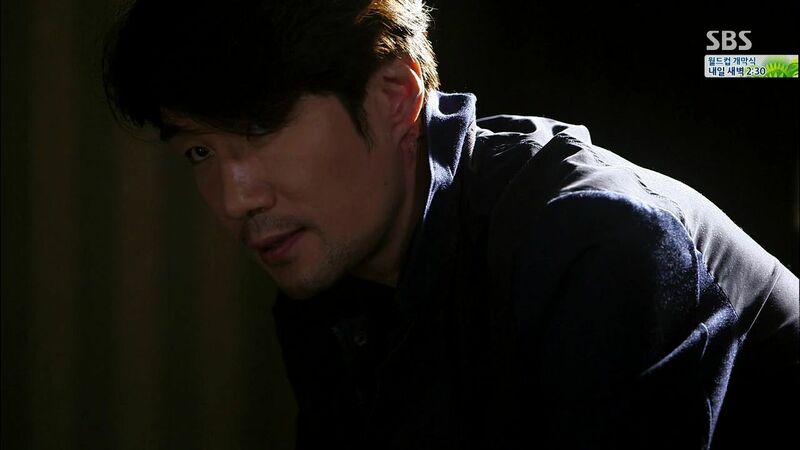 Pan Seok arrives outside the apartment holding the surveillance camera in his hand to confront Dae Gu about it. The production really has wasted a great cast and an intriguing storyboard, with the ratings in this episode dropping even closer to under 10% for the first time since it premiered. In the dog-eat-dog world of ratings, a drama can’t coast on audience goodwill for the cast forever and sadly YAAS wrapped up the first half of its run with a terribly underwhelming product. The final scene was meant to be exciting but the drama hasn’t the track record to give me hope that the resolution in the beginning of the next episode will feel satisfying or make a lot of sense. It’s good that Pan Seok and Dae Gu aren’t confronting each other all the time about their unresolved issues but that also means neither are sharing information that can help bust the cast wide open. Same with Soo Sun who has the pendant and can add what she saw that night to the narrative. I think a nice tight 16-episode run cutting out that episodic cases and focusing on this big conspiracy will do wonders for this drama. It’ll also give both Pan Seok-Sa Kyung the reason to really work through the loss of their son and give their fresh start more purpose, as well as develop the bickering camaraderie dynamic between Soo Sun and Dae Gu into something more meaningful. I’m not surprised Chief Kang is a baddie since there was no logical way she would have found Dae Gu/Ji Yong unless she intentionally sought him out. Clearly she’s under direction of the even bigger baddie the Congressman, and she probably likes Dae Gu enough that she wishes to keep him alive. That doesn’t absolve her of her crimes and I hope she pays the price and does something redemptive soon. 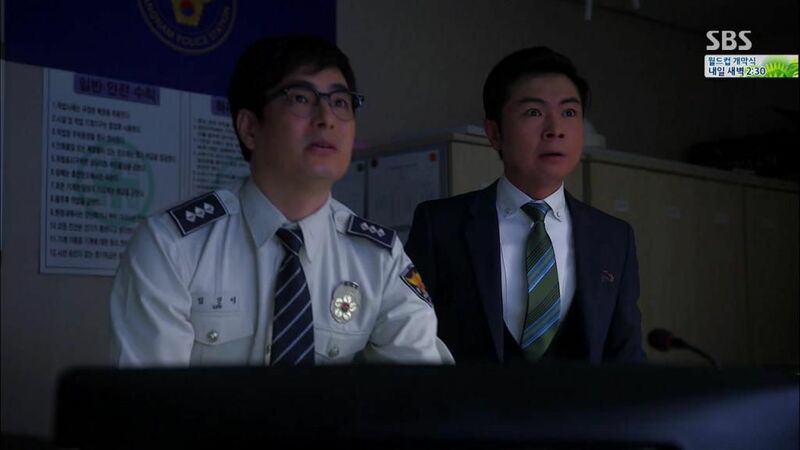 It’s good to learn that Pan Seok and the Killer were former cop partners, explaining why Pan Seok would keep in touch with the man and also why he would help him now. What was hilarious in this episode was the Congressman taking one look at Dae Gu and recognizing him as Ji Yong, when all this time neither Soo Sun nor Pan Seok recognized him. LOL. That’s silly I can accept since it pushes the story faster as the Killer knows where to find Dae Gu and take him out, though I thought the Killer always knew Dae Gu was a cop since he followed him in an earlier episode back to the precinct. It’s not worth trying to rationalize it but having Dae Gu in danger will definitely ramp up his urgency to solve his mother’s case which I’m guessing something greater than a witness getting snuffed out prior to testimony. the clifhanger where our boy was stabbed in the eye by a knife in the dark. do i need to say about this drama? the cast is best as you can get and story is solid and this is how they ruin it in execution. I think the congressman recognized Dae Gu as Ji Yong, it’s because he had already an idea that Ji Yong is alive. Pan Seok however thought that Ji Yong is gone.also, If you recall the 9 episodes, Pan Seok has some impression about Dae Gu but cant figure it out. 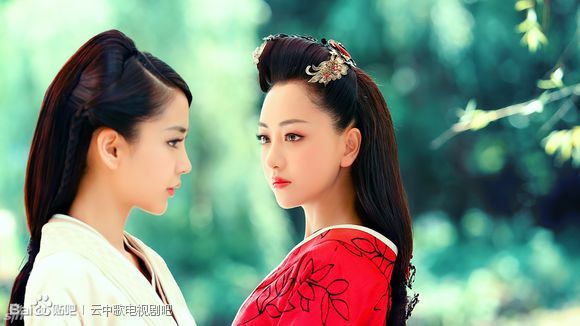 I like how this drama goes. The characters development are good.It keeps me looking forward for next episodes. And Oh! I like the love story going around with Pan Seok and Sa Kyung. I hope the latter wont give our Pan Seok some hard time. 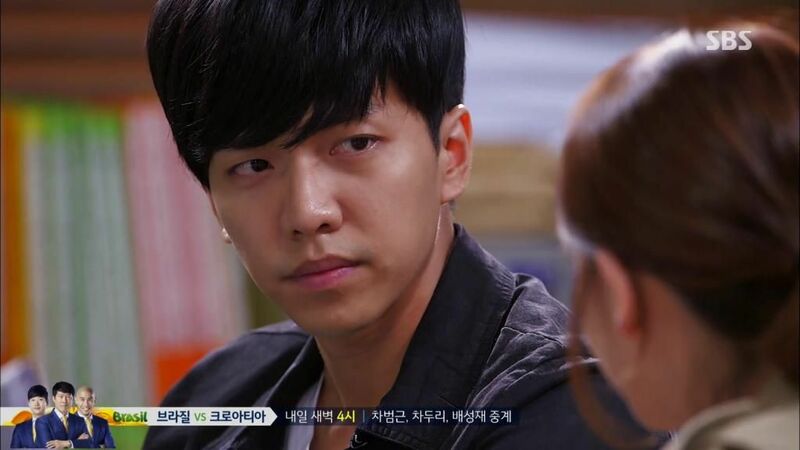 I feel kind of empty with not many Lee Seung Gi scenes in this episode. Get well soon Your Royal Highness. The Congressman did NOT recognize Dae Gu as Ji Yong!!! If he had he would have figured that Chief Kang is going against his order to `off’ Ji Yong. Seeing Dae Gu simply reminded him to tell the killer to make sure to off Ji Yong. Or it may even be unrelated, just that we are shown his scenes in succession: his encounter with Dae Gu putting Chief Kang on edge, and then his convo with killer reminding us that he wants Ji Yong killed.